For sixteen years, Sam Thaiday has entertained Brisbane Broncos, Queensland State of Origin and Australian fans both on and off the field. He’s one of rugby league’s most highly regarded and respected players and this book tells his story. With his trademark humour and honesty, Sam reveals his roots as Townsville boy and a die-hard Cowboys fan, his family connections to the Torres Strait, how it was his mum who taught him to pass and tackle, and all the ups and downs of the game he loves. With advice for setting and reaching goals, handling setbacks and finding the things that matter to you in life, Rise: The Sam Thaiday story is a must-read for any young league fan, regardless of who they barrack for! 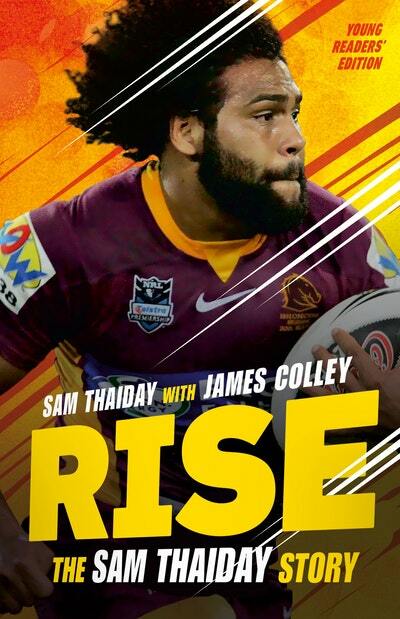 Love Rise: The Sam Thaiday Story? Subscribe to Read More to find out about similar books.